unserved areas | Strategic Networks Group, Inc.
As a local leader or elected official, you may need to decide whether or not you need a survey, or a study for your broadband initiative. If the value isn’t clear, or if it doesn’t get you closer to your goal, why spend time and money on a ‘survey’ or another ‘study’? Don’t do it just because another community has. Understand which communities have achieved their broadband goals and how they got there. If you have areas that are unserved or underserved with broadband, private sector providers have not seen enough of a business case for them to invest. Low density, tough terrain, insufficient take rates to make a business case, etc. are realities that must be overcome and will require more than re-packaging of your market, or expounding on ‘we have a great community’. If service providers have a better return on their investment elsewhere, that is where they will invest. 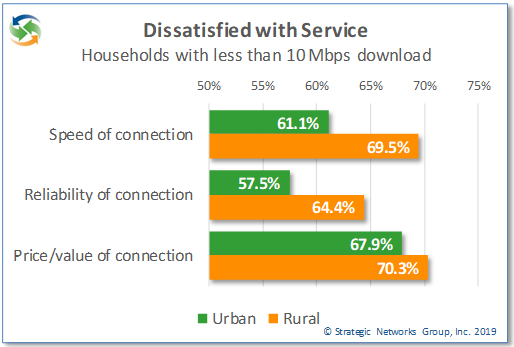 To get broadband deployed to your unserved or underserved areas there are generally three options going forward – 1) entice a provider to deploy in your area by subsidizing their business case; 2) build your own network to compete directly with other incumbent providers; or, 3) build your own digital infrastructure which multiple providers can then use to provide services (like municipal roads which are built, owned and maintained by the municipality, but anyone can use them). Regardless of which option communities choose, elected officials would want to be in the best position to negotiate and to decide the best path forward for their community by understanding the broadband investment options, the market potential, and the community returns on investment (ROI). 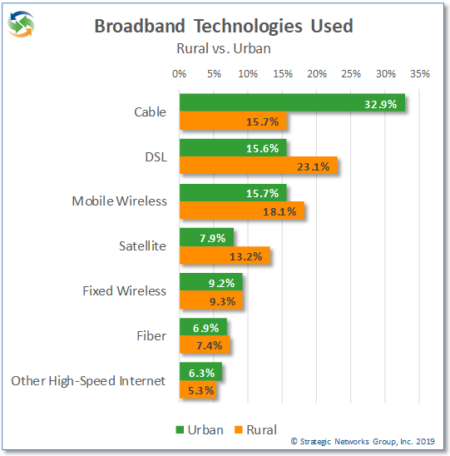 For these reasons assessing broadband demand is not a survey, but necessary due diligence on the market potential and choosing your broadband strategy (bringing providers to serve your areas, or building your own) while ensuring the best return for your community. We know that providers already have their expected take rates and will use their spreadsheets in developing their own business case. 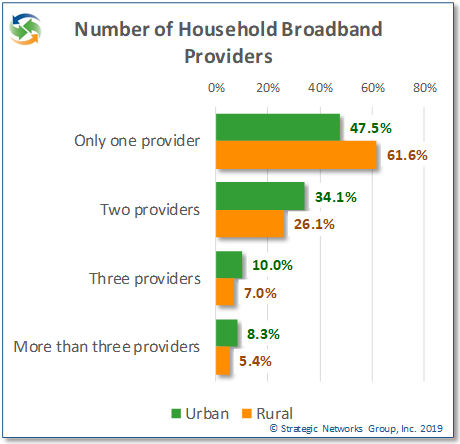 However from SNG’s extensive research, the majority of the community benefits from broadband are off-balance sheet to providers – which means providers under-value their return on investment as compared to community returns on investment (i.e. community benefits). We call this an economic case for investing in broadband – some people call it a government business case. It’s the same reason we have public investment in roads. 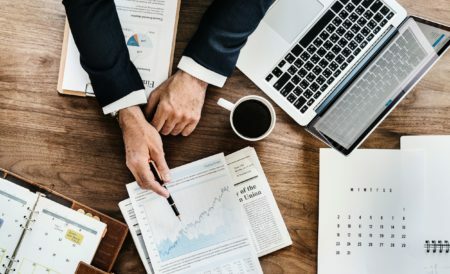 For those considering a public-private partnership, if you know that you have a strong market potential (current and future demand) for broadband and value-added services, this will strengthen your position on negotiating how much your community needs invest to make a successful business case. On the other side, if your unserved and underserved areas do not show a strong demand then you may want to limit your risk, or take actions to build up demand. It is also possible that some areas have higher demand than others, which can allow you to be more tactical with the timing and prioritization of broadband deployments. Data points on market potential inform your investment case for whether you choose to negotiate with an ISP by developing an RFQ or RFI for a public-private partnership, or if you decide to build your own digital infrastructure. We’ve written about this issue in our recent post: Where do we put our efforts to get connected with broadband? Gives local residents and businesses a vehicle to express their need and willingness to sign-up for better connectivity – contact lists for those who want to sign-up can be shared with the provider, finance last mile deployment, inform broadband deployment priorities, etc. What is the current broadband demand as compared to expected demand from provider’s spreadsheets? What is the potential demand that can drive additional revenues for providers, as well as community benefits? What are the issues or barriers that need to be overcome to drive demand and meaningful use so that local businesses and residents fully leverage technology? We are able to address these fundamental investment case issues in a cost effective way with our Digital Economy Demand Checkup. Not only do we identify current demand, but also potential demand and market potential. We don’t know of anyone else that can benchmark demand to increase service provider revenues and maximize local economic impacts. For example, with a municipal service provider we identified a 64% increase in revenues for no additional capital investment. This represents an increase of 47% in Average Revenue Per User (ARPU). 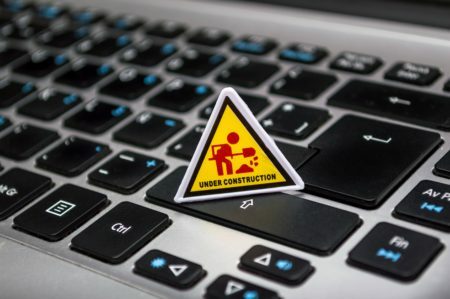 There are still far too many communities without broadband and funding agencies do not have enough money to fund all of the necessary digital infrastructure and last mile connectivity to individual premises. It is time to start looking at different ways to deploy broadband into unserved and underserved areas. Localities without broadband will lose residents, businesses, and their tax base. How many communities exist today without roads, electricity, or water and sewer systems? However, areas remain unserved or underserved because there is not enough of a return (profit) for broadband service providers to justify the investment. Whether private, public, or private-public partnerships fund broadband, investments will need to be made and financed for such localities to survive, let alone thrive. A pivot in approach is needed to approach broadband as digital infrastructure. Inertia and gridlock that leads to accepting the status quo after spending time and money on traditional feasibility studies that are fundamentally flawed in trying to make a business case where none exists. Community leaders are staffed and prepared to develop and launch a sustainable solution? In other words, are they committed and ready? Infrastructure investments must address current and future needs. Governments invest in infrastructure because there are public benefits that private sector entities cannot monetize – these are externalities, or what we at SNG also call community benefits. Broadband, like roads, is essential infrastructure. 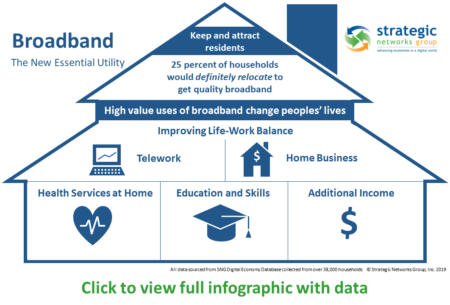 Retaining businesses, jobs, and population are all benefits that broadband enables for a community / region, but are off-balance sheet to private sector providers. That is why broadband needs to be approached as digital infrastructure – it has become an essential service. Economic and community development agencies know they must address broadband gaps. For example, despite fiscal constraints and resistance to public investment in infrastructure by vested interests, States are allocating funding for broadband and $10million, $20million or $100 million are significant legislative wins. However, if the cost to expand broadband to unserved areas is $1.3 to $1.7 billion (as was with the State of Tennessee), that will take at least a decade if reliant upon state funding at those levels – and no community can afford to wait that long for broadband. Anyone that can leave, will have left the community for better education, healthcare, public safety, economic opportunities, and overall quality of life. Businesses and high value individuals will be very difficult to retain, let alone attract. Struggling communities will continue an accelerating downward spiral. In the absence of funding private sector investment, municipalities have tried to establish a municipal or utility-based ISP, taking on a bad business case while directly competing with incumbents. Often these projects are locked into the traditional mindset of building a municipal retail ISP as “The” solution. Some have been successful, most have struggled. In many States municipalities are prohibited or severely restricted in taking this retail ISP services approach. Another approach is funding projects using private service providers to deploy to unserved areas, typically with matching funding. Preference is given to those projects that offer the greatest matching funding to State dollars. This may be straightforward and may ‘check the box’ for broadband service, but choosing one provider to build-out to an area is essentially using public funds to subsidize one provider among many. While it may be compelling for practical reasons, this approach assumes that private providers can and will execute quickly with deployments, as well as provide competitive levels of service to address local demand. However, subsidizing one service provider in a market tilts the playing field and inhibits healthy competition. 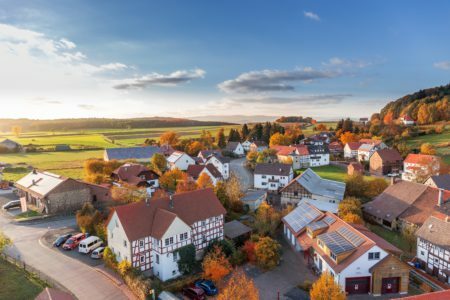 Furthermore, problems can arise when profit-driven service providers interests do not align with a locality’s interests and needs – such as deploying smart community services. Without other options, localities will continue to see under-investment in digital infrastructure even when community benefits outweigh private sector returns on investment. A more recent strategy is investing in digital infrastructure planning which enables funding agencies to leverage ten times what they are currently receiving from their broadband investments. The ten-fold (10x) difference is funding a network build (e.g. $1M for Ammon, Idaho) versus investing in planning to self-finance digital infrastructure (e.g. $100K). Funding agencies can get greater leverage from their broadband investment dollars by helping communities take the right action to invest in their own digital infrastructure than they do by investing directly in that infrastructure themselves. The challenge with developing a Digital Infrastructure Strategy for Communities and Regions is that they need help in understanding how this model can work and they need technical assistance to take initial steps. The starting point is assessing potential municipal cost reductions, subscriber savings, local economic growth, and smart community service benefits. When these community benefits outweigh digital infrastructure costs, it is possible to self-finance. For example, when telecom and internet costs can be reduced by 86% (see economic case of Ammon, Idaho) those municipal cost reductions are existing budgets that can be reallocated to finance the digital infrastructure investment. 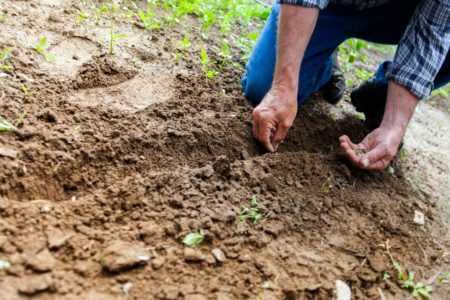 Funding agencies can play a critical role in their funding and policies. They can invest in communities rather than a network build. Broadband and digital infrastructure are not ends in themselves, but means to enable good-paying local jobs, grow local economic opportunities, and enhance local quality of life. Prioritize where funding should be invested for projects that are essentially ‘ready to go’ because they can be self-financed based on economic feasibility and community returns on investment (retaining and growing local business and jobs, access to health and educational services, etc.). These projects would get help with planning, getting started, and implementing a digital infrastructure approach – which is a more efficient use of State dollars when planning costs one-tenth as compared to directly investing in infrastructure. More efficient use of public dollars by investing in planning enables areas to self-finance their digital infrastructure allows the remaining available public dollars to be allocated to areas that have the greatest need, but who may not have the means to address their needs themselves. Determine how funding be more efficiently and effectively spent (infrastructure, technical support, demand aggregation, etc.) based on each area’s identified needs, thereby maximizing community benefits per State dollar invested. A funding agency’s role is most valuable in helping achieve economic and community development goals, while ensuring communities are ready and have the means to implement sustainable digital infrastructure plans. How can funding agencies determine where, when, and how to invest to address digital infrastructure needs of communities? The first step is for communities to answer the question: Do the community benefits from a digital infrastructure investment outweigh the costs for the community/region? Those communities that have provided their information will receive an assessment of economic feasibility for their community or region – an arms-length assessment to support their broadband planning. Additionally the localities will have a geographically based phased plan based on estimated demand — to ensure their broadband planning is demand driven. 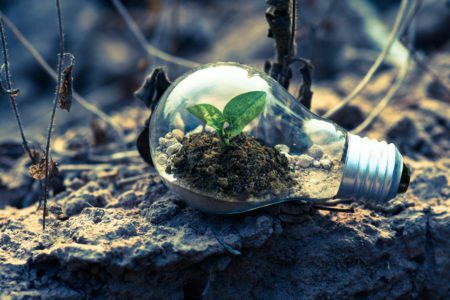 Outcome from Assessing Economic Feasibility: The funding agency will have an assessment of potential returns from broadband investment for each community / region, which can be ranked in terms of cost-benefit ratios and project sustainability. Additionally, identified municipal cost reductions can be used as matching funds for grant applications. See example of job and business impacts assessed for Custer County, Colorado. Leadership teams from each community / region take 10-15 minutes to complete an online survey with objective metrics to assess whether or not they are doing the right things needed to get their project across the finish line. It also uncovers different perspectives between stakeholders – is there alignment, or are there gaps in their perspectives and/or approach? 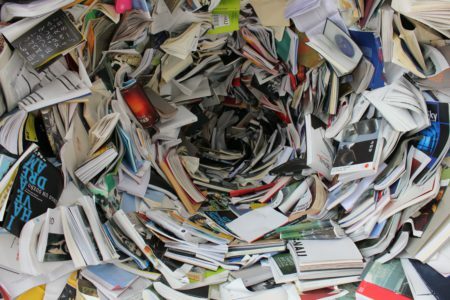 Time, money, and political capital can be saved by uncovering and addressing previously unseen gaps. Outcome from Assessing Readiness: The funding agency receives a readiness summary of communities and regions who may require broadband funding. This enables the State to have a clear picture of which projects are ‘ready to go’ and which projects may require more preparation and technical support, which can be accompanied with broadband funding. Based on Economic Feasibility and Readiness findings, prepare a summative ranked list on impacts (increases in GDP, business and job growth, etc.) from State broadband investment dollars with details incorporated on the Readiness of each project – and if needed, how they can be helped to become ready and develop sustainable projects. This is critical input to the success of any broadband planning process at a community and regional level. Every community has different characteristics and faces different challenges. 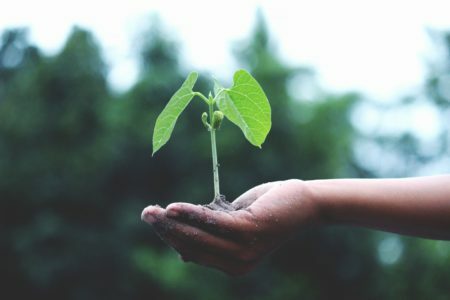 Those with the most need may not provide the greatest impact at a State level, but the benefits and impacts at a local level can be a matter of survival for a community or region. With relatively small investments the state can assist such communities to own their digital future and, collectively, the impact on the State can generate significant economic impacts without impractical and limited investments in the broadband networks themselves.